The Challenge Spartan 150M 15" Ream Paper Cutter saves time and money. We are proud to announce the introduction of our newest member of the Challenge cutter family. 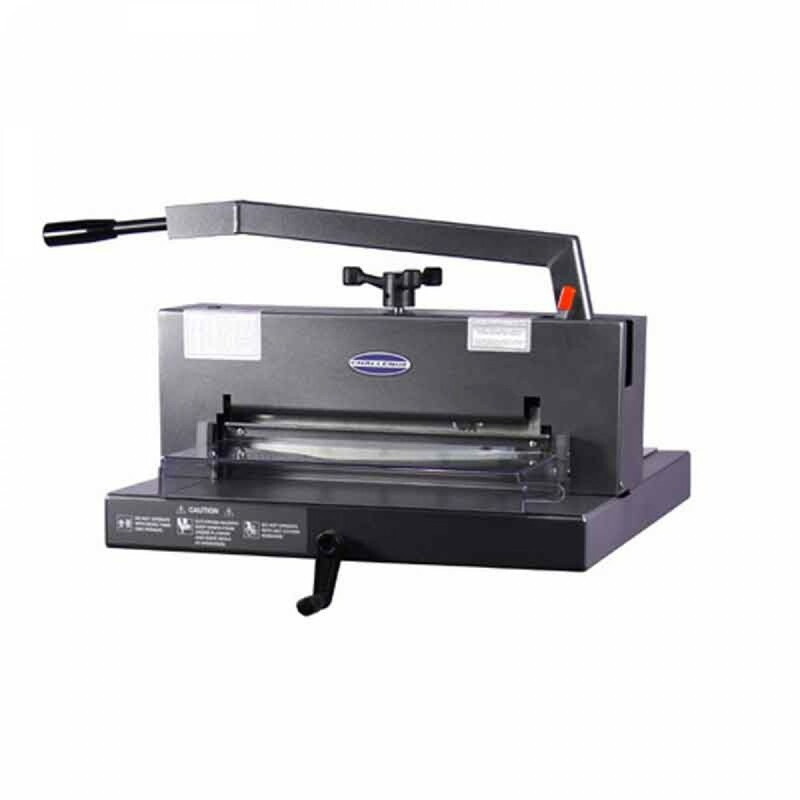 The SPARTAN 150 M Paper Cutter is a sleek strong 15" table-top machine perfect for the professional office, copy center, in-plant, and on-demand printing environment. Holding true to our tradition, the Spartan 150 M is engineered and manufactured to the highest of safety standards available in the world. Safety shields cover the front and rear tables. Dimensions WxLxH:28 1/8" x 27 1/4" x 12 1/2"
Included: (1) high speed steel knife, (1) plastic cutting stick, (1) jogging aid, (1) tool kit, & (1) knife change holder assembly. LED Digital Backgauge Position Indicator with ±0.01” (±0.1mm) Backgauge Accuracy - provides for easier operator interface, higher productivity, and easier repeatable accuracy than a hard to read indicator on a scale as is used in other brands. Laser Red LED Cut Line Light - produces a very sharp, easy to see cut line without the replacement problems of incandescent bulbs. Front Safety Shield interlocked with the cutting lever - provides protection for the operator during operation.